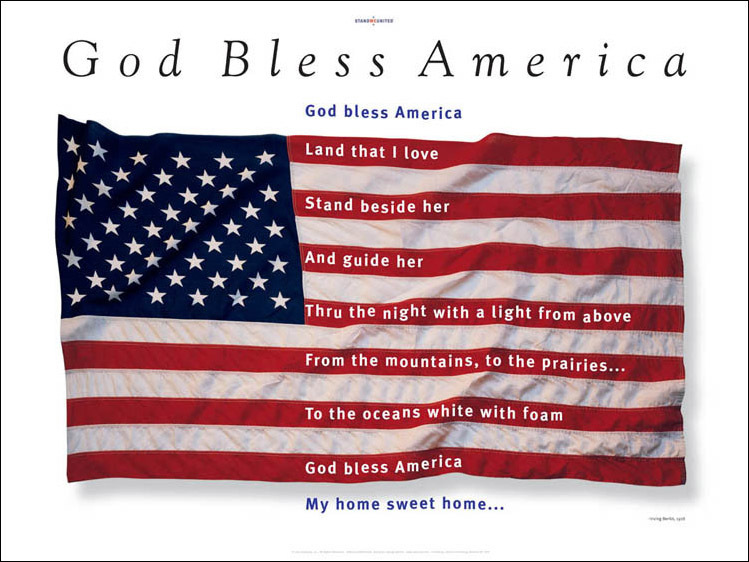 God Bless America, from Our StandWeUnited® Collection: Offset lithography, one of a series of seven posters designed in the aftermath of 9.11.01. Entered into the Library of Congress, December 2009. Gold award, Graphis Poster Annual (graphis.com) Available on Shopify.